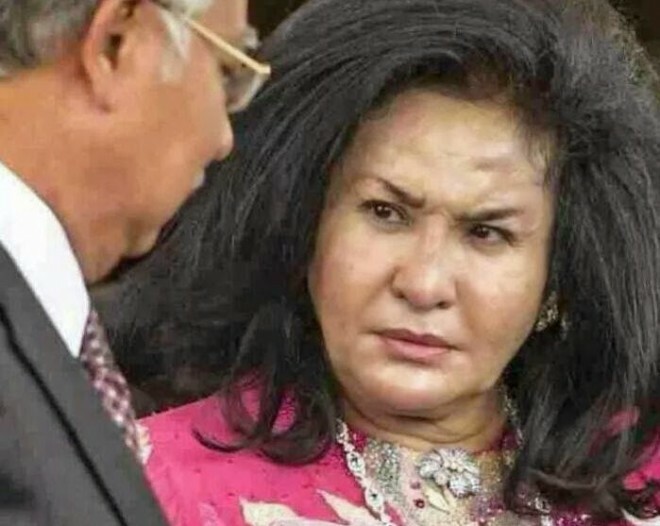 Malaysian Prime Minister Najib Razak’s wife, Rosmah Mansor, threatened to sue for “false, malicious publications or postings” on social media, after the US Department of Justice (DOJ) unveiled a mystery that has lingered for over a year in the 1MDB scandal. The DOJ is seeking to seize, among others, Malaysian financier Low Teck Jho, or Jho Low’s, luxury yacht called Equanimity which is worth US$165 million (RM704 million). It is also looking into the rights to the film “Dumb and Dumber To” produced by Red Granite, a production house co-owned by Riza Aziz, Najib’s stepson. The DoJ suit also noted that Low had purchased, using money from 1MDB, a 22-carat pink diamond necklace for the “wife of Malaysian Official No. 1” (MO1). MO1 was previously identified as the prime minister by a minister in the Prime Minister’s Department. The necklace was said to have cost US$27.3 million. Rosmah’s solicitor Messrs Noorhajran Mohd Noor said those who made malicious attacks against Rosmah would face legal action without further notices or references. “Recently more malicious and baseless attacks have surfaced against Datin Seri Rosmah Mansor on blogs and social media. “These attacks are false allegations made without any proof or basis, done with malice with the sole intent of putting Rosmah in disrepute, casting aspersions of alleged wrongdoings and causing harm and injury to her reputation,” the statement read. According to the statement, Rosmah’s lawyers are closely monitoring all postings on social media platforms and other publications in relation to the false and malicious attacks against her. DoJ’s latest suit, its third since last year, brings the total amount allegedly misappropriated from 1MDB to US$4.5 billion (RM19.24 billion). Malaysia’s Attorney General yesterday said there were no evidence linking misuse of 1MDB money in any of the jurisdictions investigating the biggest financial scandal of all time. Najib’s wife threatens lawsuit as DOJ looms large on MO1. I wish all these guys who hantam Mrs Idiot will, for once, tell the truth about her. They talk about this Mrs idiot having a USD$27.3 million 22-carat pink diamond necklace bought, not by Mr Idiot, but by Jho Loh. Why would Jho Low buy her that necklace? Did Mrs Idiot grant Jho Low any sexual favours? Look at the image of Mrs idiot below and ask yourself if any sexual favours granted by Mrs Idiot will be gratefully rewarded, by anyone, with a USD$27.3 million necklace? Aiyah I think not! Let me tell some truths about this Mrs Idiot. She is old. She is fat. She is…and no gentleman should say this of any lady…but I am no gentleman….she is ugly. Damm ugly. I kid you not. Selamat Pagi Malaysia…..